We’re all about making the getting-dressed process more efficient—while we love our closet, we would much rather be out living life in fabulous outfits than spending an inordinate amount of time deciding what to wear. As such, we thought we’d share an outfit formula that works for almost any occasion, from a casual weekend outing to a dressier evening event. The magic equation is this: one basic (a closet staple such as a plain tee, jeans, or a pencil skirt), plus one interest piece (something that makes more of a statement—color, pattern, and texture are encouraged), plus one or more completer pieces (an item that makes the outfit feel more thought-out—think a jacket, a cardigan, or, if it’s warm outside, a statement accessory like a scarf, hat, or belt), plus standard accessories (pieces that you don’t normally leave the house without, like a purse, jewelry, shoes, and sunglasses). 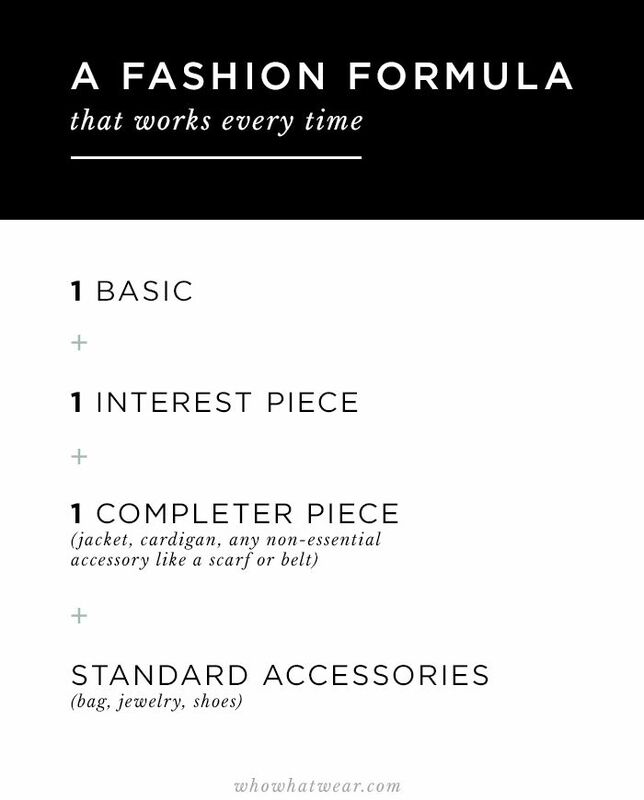 We find this formula works every time to create outfits that are interesting and fashion-forward. It makes sure you wear enough pieces so your look is never boring or overly simple. 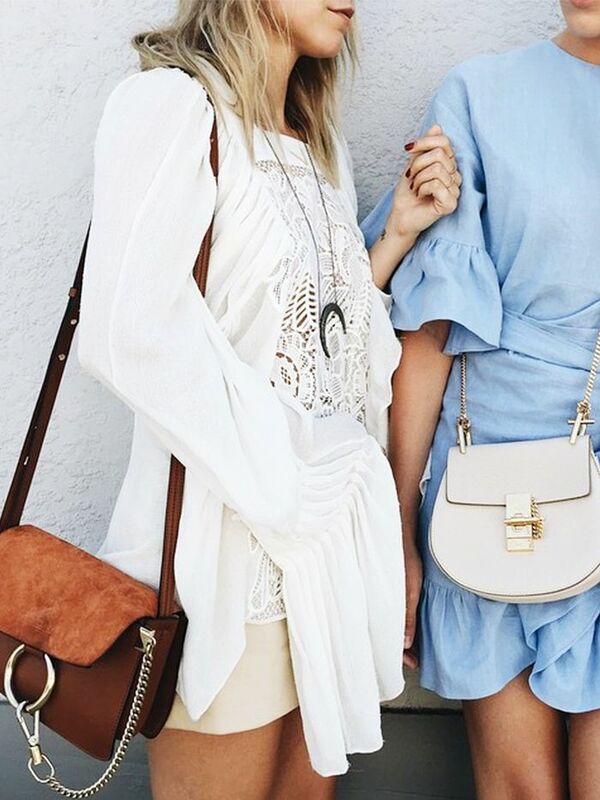 In fact, we find fashion bloggers—girls who know a thing or two about putting together outfits people love to look at—often use the formula themselves. Scroll down to check out the concept in action! How do you approach getting dressed? Would you ever try a formula like this? Let us know in the comments below!